The premier multispecialty hospital in Patna has been the pioneer in delivering innovative health care services to the ailing patients. 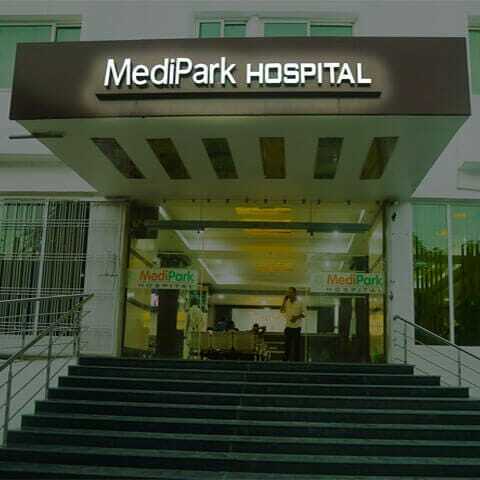 MediPark also offers free check-ups for pregnant ladies and provide various health care packages at an affordable price. The hospital is located in Patna, Bihar and has been one of the best private hospitals in Patna for the last two years. My experience at the MediPark hospital was great. The neurosurgeon who treated me did a wonderful job, together with the nurses and the staff. To find such a clean hospital at a very cheap rate was tough but worth. Thank you for your care and services. I was suffering from pain and total stiffness of left Hip joint from last 15 years. Diagnosed with Severe form of Osteoarthritic Joint. Here Orthopedics Doctor’s team performed Total Hip Replacement and now I am completely pain free and walking comfortably. From painful and fixed hip joint to almost normal joints now, it’s unbelievable changes for me. I am highly satisfied with Surgery and services provided here in Med park Hospital, Patna. Wish this Multispecialty Hospital achieves all heights in near future. Aenean sollicitudin, lorem quis bibendum auctor, nisi elit consequat ipsum, nec sagittis sem nibh elit. Duis sed odio sit amet nibh vulputate cursus a sit amet mauris. Morbi accumsan ipsum velit. Nam nec tellus a odio tincidunt auctor a ornare odio. Sed non mauris vitae erat. Together with offering traditional and established medical care services, we strongly believe in a long term establishment with the patient and catering to their health. MediPark Hospital is the best multi-speciality hospital in Patna that offers treatment to all your conditions. You find all the expert advice under the same roof, with 24x7 medicine and emergency care service. A routine check-up or a specialized procedure, our care is inclusive of quick medication and advanced treatments. We specialize in providing health care services to all the people approaching us for treatments. We have excelled as integrated health care providers. We are built on values systems that work for excellence, empathy, and care. We offer patients the same level of services as they would require, this acts as our building block. We work as a family to look after your families with care and compassion in the heart. We provide consultancy, clinics, pharmacy, emergency care, and holistic therapy. The dedicated staff of the hospital is precisely the backbone of the goodwill MediPark owns in the town. Our specialized employees guarantee comprehensive and individualized medical support even beyond the disciplines. Patients with complex diseases are high in the town and we provide comprehensive treatment to all individuals. Combing the expertise of doctors and medicines, we house unique health care service for our patients. The availability of high-end technology for diagnosis and other radiology methods, we ensure patients comfort and good health. The management team of the hospital ensures that the grievances of the patients are heard and well-cared for. Our team and staff members celebrate all the festivals and holidays together with the patients giving them home like feeling. For all your health related problems and issues, visit the best private hospital in Patna, MediPark Hospital.